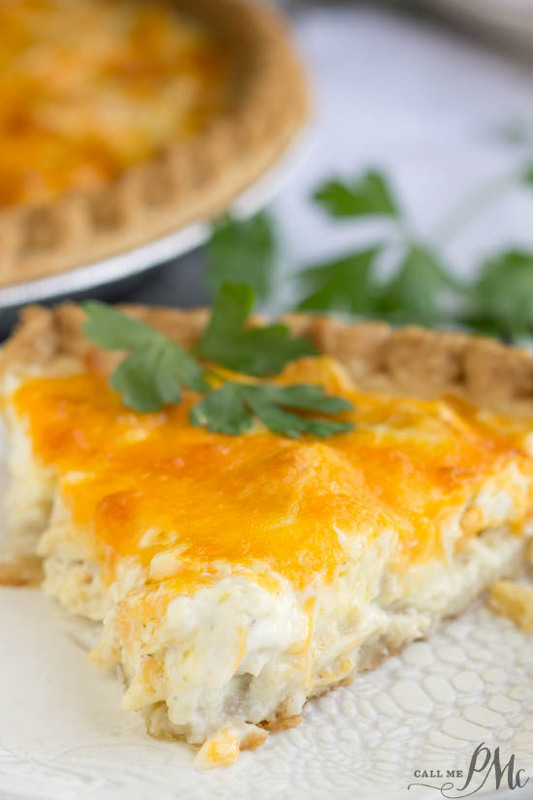 Impress your brunch guests with this flavorful Simply Chicken Quiche. It’s one delicious recipe that’s guaranteed to wow anyone. Simply Chicken Quiche is just that, chicken. There are no vegetables, no onion, no exotic or unusual ingredients in this recipe. 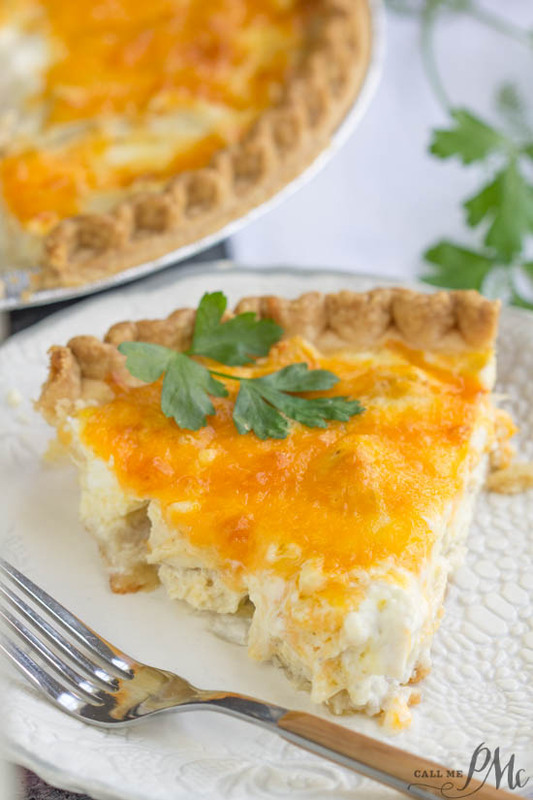 There are just simple, basic ingredients that make an ah-mazing quiche! 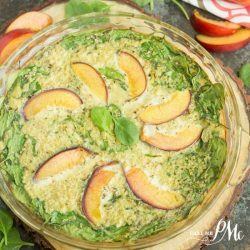 This is a crowd-pleasing recipe that is suitable for entertaining at breakfast, brunch, and especially ladies’ luncheons. 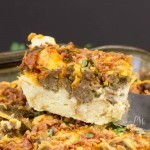 When entertaining, it just doesn’t get any easier than this! I boiled two chicken breasts for my quiche, but this would make great use of leftover chicken. As a matter of fact, if you have cheese board leftovers, you certainly don’t have to use cheddar cheese. Use your favorite or what you have on hand. 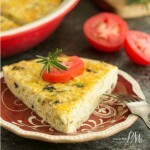 In most quiche recipes you can simply omit the crust to cut carbs making it a frittata instead. 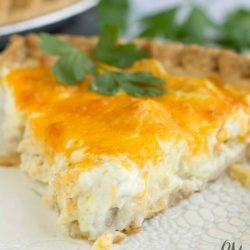 However, I do not recommend omitting the crust in this Simply Chicken Quiche recipe. There are not enough eggs to bind the ingredients together. Of course, you could scoop it out with a spoon, but it won’t stay together to serve a pretty slice. I used a 9-inch crust, not a deep dish. Of course, you can add vegetables to this recipe. In place of 1 cup of chicken, you could use broccoli, spinach, onions, peppers, etc. This I made for a friend and it was designed to be basic chicken only. You could also substitute the chicken with turkey (leftover Thanksgiving turkey!!!) or ground sausage. It won’t be a chicken quiche then but it’ll still be great with a pork breakfast sausage. Another great hint, double the recipe and freeze one. They freeze really well. 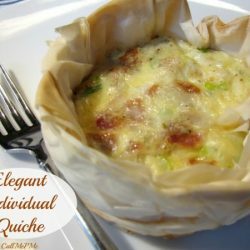 Quiche can be frozen before or after baking. Wrap it tightly in plastic wrap or foil. 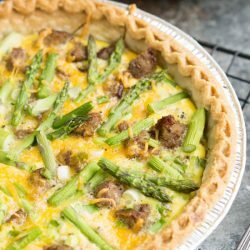 Baking first may make the quiche a little easier in the freezer. 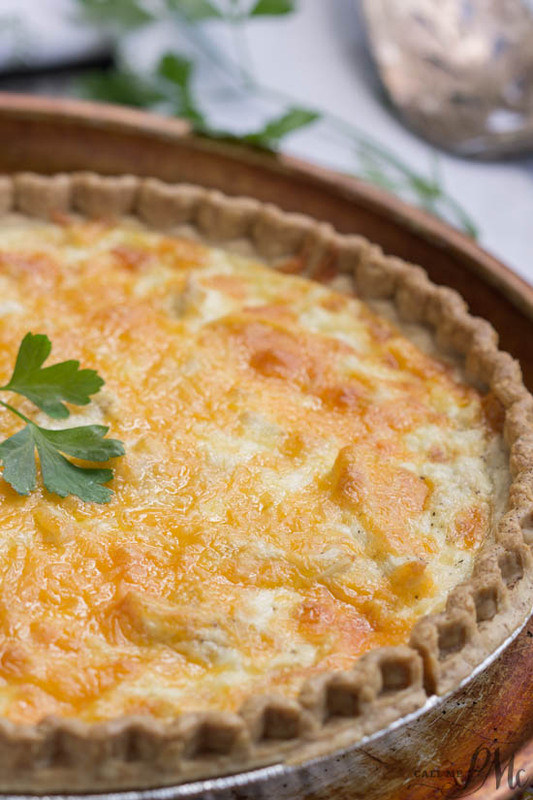 To freeze quiche before baking, place the quiche on a tray or baking pan where it will be level and will not slide. Freeze until firm. Then you may remove the tray. I recommend using a metal pan when freezing. To cook my quiche before freezing it. Then I sit it in the refrigerator the night before. Wrapped in foil, I then put it in a cold oven and turn the oven to 400 degrees F. Bake for 35 to 40 minutes. Check at 30 minutes and remove foil. I also recommend baking it on a cookie sheet or sheet tray to catch any spills. 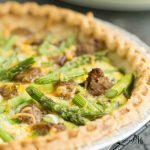 Simply Chicken Quiche an easy quiche recipe with chicken only and no veggies. On a cookie sheet or sheet tray, bake pie crust at 375 degrees F for 6 minutes. 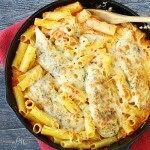 Remove from oven and fill with chicken. Stir together the egg, flour, and whipping cream. 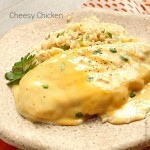 Pour cream mixture over chicken. Sprinkle salt and pepper over if desired. Sprinkle cheddar cheese over all. Bake at 375 degrees for 40 to 45 minutes until cheese is golden brown. Remove from oven and allow to stand about 20 minutes before cutting. If it's cute before it sets the mixture will not come out in a pretty and solid piece. Refrigerate leftover, covered for 2 days.